I. Study the following Pi- charts and answer carefully using give data. 1. 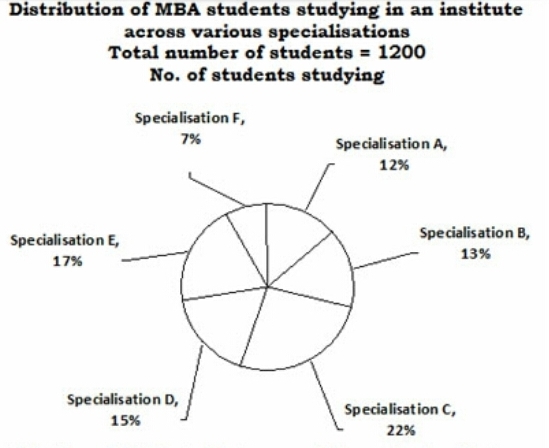 Number of students passed from specialisations E & F together is what percent of the number of students studying these two specialisations together ? 2. Which of the seven specialisations had the highest percentage of students passing ? 3. 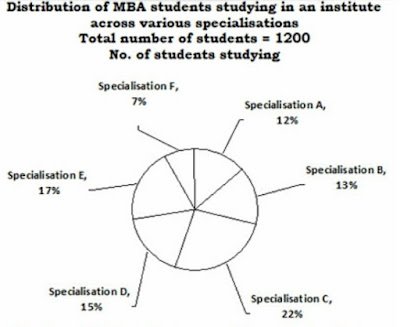 What is the ratio between number of students passed from specialisations A & C together and the number of students studying from these two specialisations together ? 4. 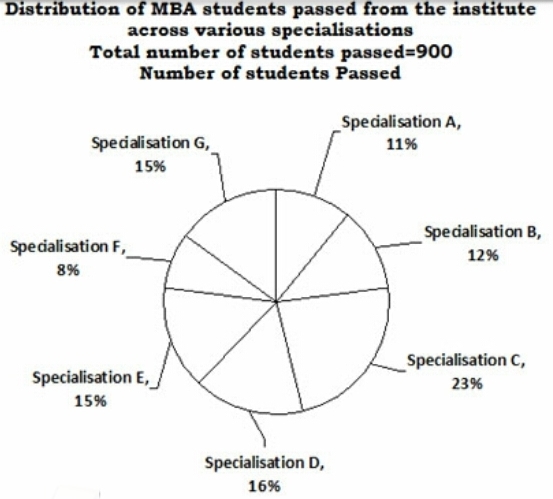 What is the ratio between number of students failed (not passed) from specialisations B & C respectively ? 5. Percentage of students passed for how many specialisations is more than the overall percentage of students passed from all specialisations together ? II .Study the following Line diagram and answer carefully using give data. 6. Approximately, what is the average number of items (in lakhs) manufactured by all the units in 2009 ? 7. 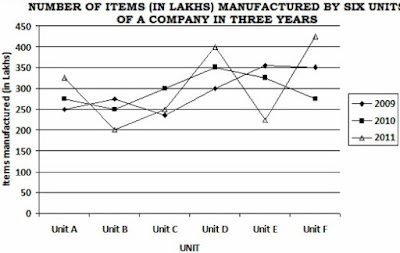 Total number of items manufactured by all the units together in 2009 is more or less by what percent than the total number of items manufactured by all the units in 2011 ? 9. What is the ratio between number of items manufactured by units B. 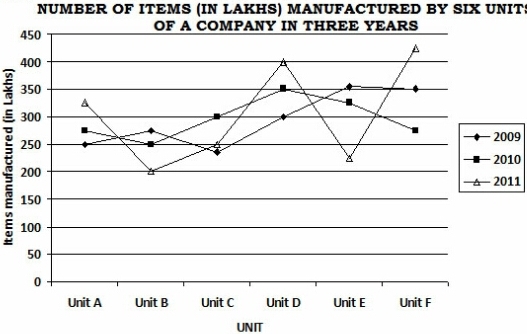 D & E in 2010 & the number of items manufactured by units A. D & F in 2011 respectively?